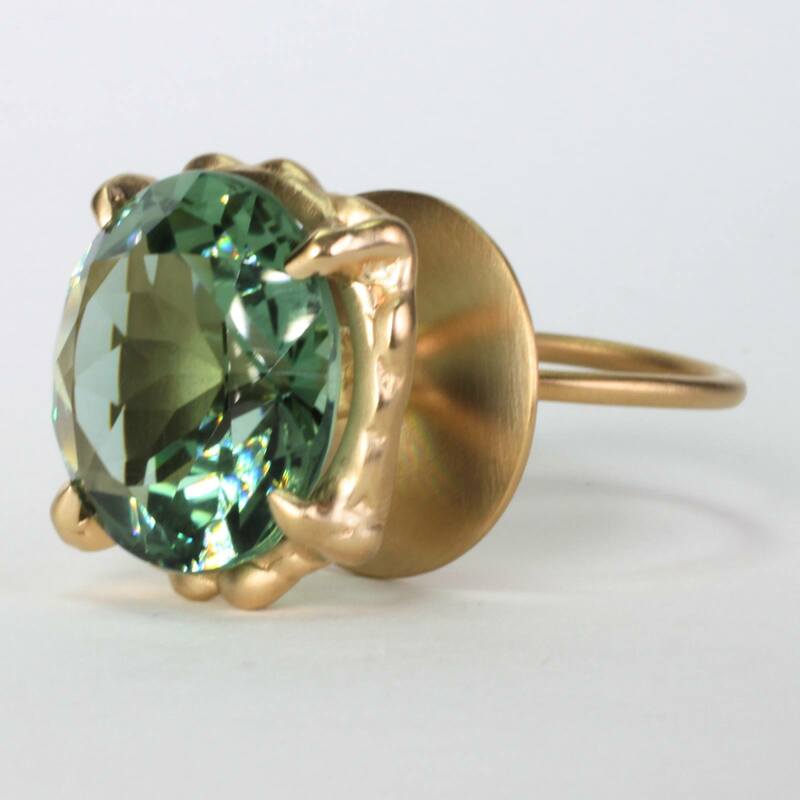 A pop of color, with radiant gold. 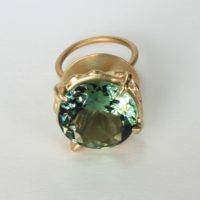 14k or 18k yellow gold with 16.24 carat Green Quartz gemstone. 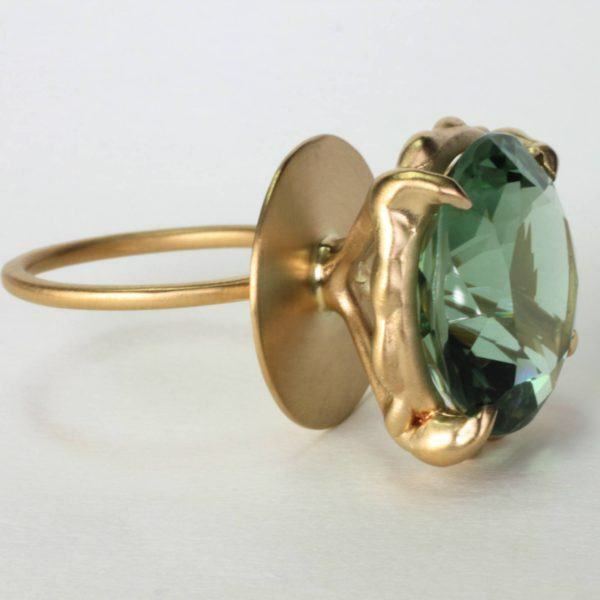 Behold, this super sized Green Quartz & gold cocktail ring celebrating your inner child. 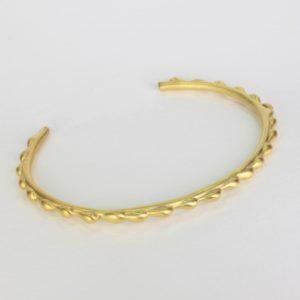 Keep smiling, shining, and stay bright. Fall in love with the shimmering beauty of this big gemstone ring surrounded by the modern sophistication, and warmth of gold. 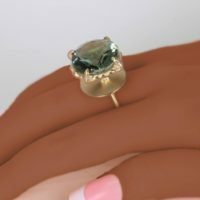 The gold lollipop ring is an elegant interpretation of a candy ring that resembles a lollipop ring from your childhood. 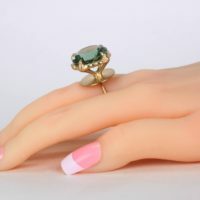 This gold radiant ring will be popular at a cocktail party because of its large size gemstone and unique design details. 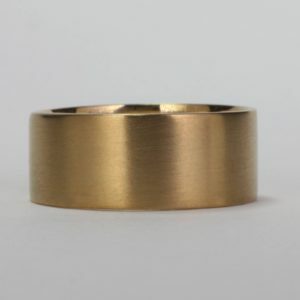 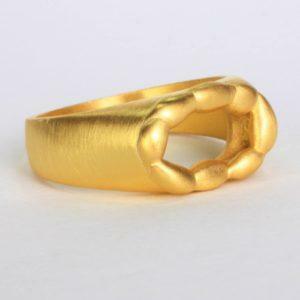 Weather it’s a special event or intimate party, this statement ring will adorn your hand beautifully in 14k or 18k gold. 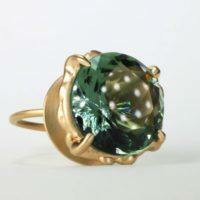 You may also choose to commission the designer to create a beautiful custom jewel for your special occasion. 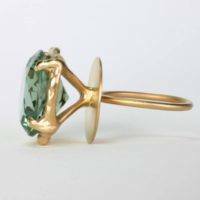 The lollipop cocktail ring with green quartz is handcrafted in gold with a large gemstone and expert stone setting. 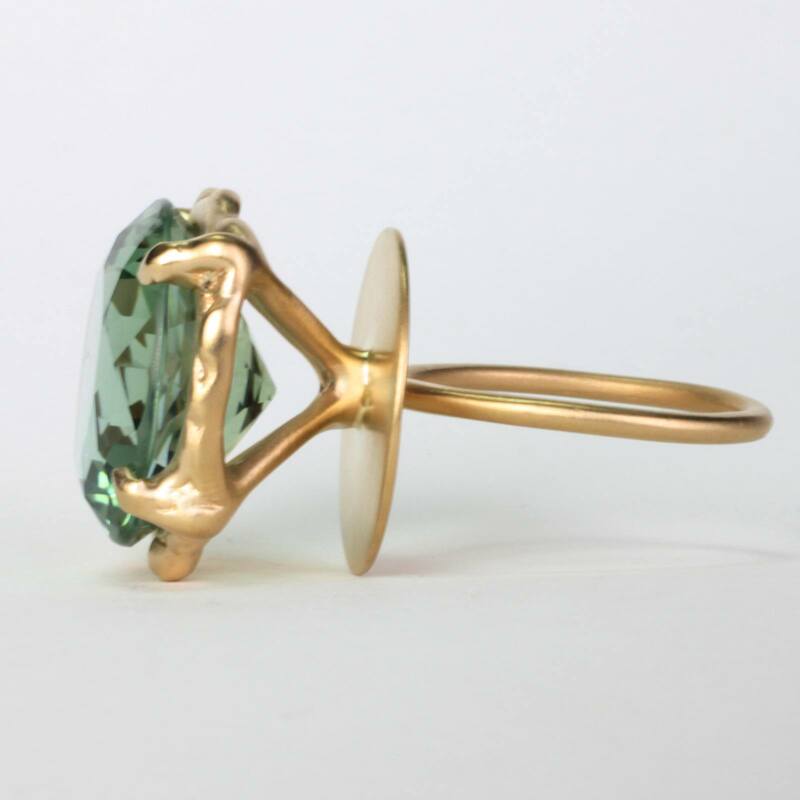 This rock candy jewelry is apart of a contemporary 14k and 18k fine jewelry collection by EzzyKaia. 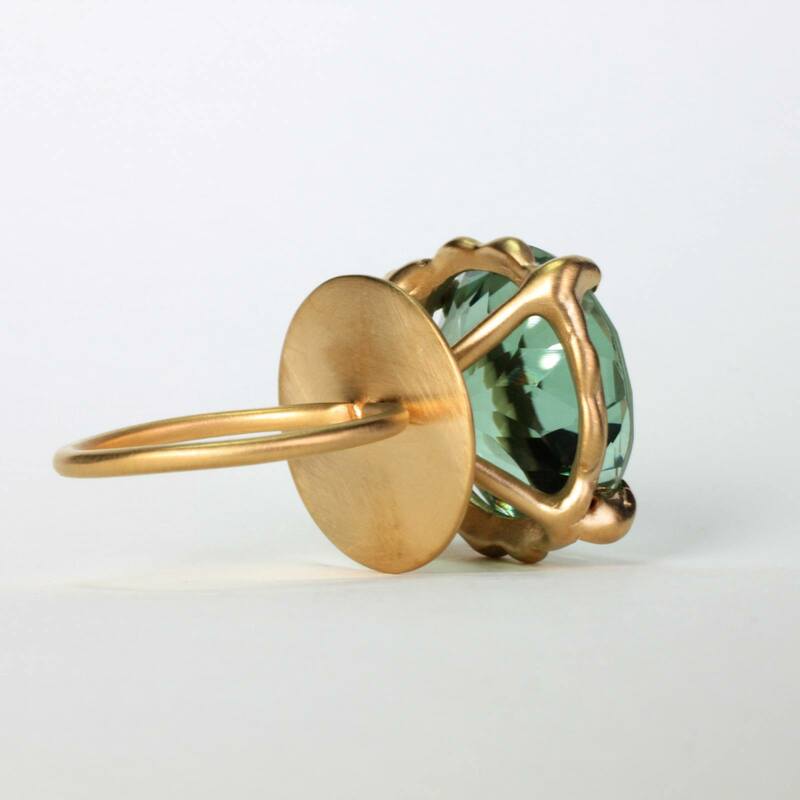 This local NYC jewelry designer features new gold jewelry designs made in New York City. 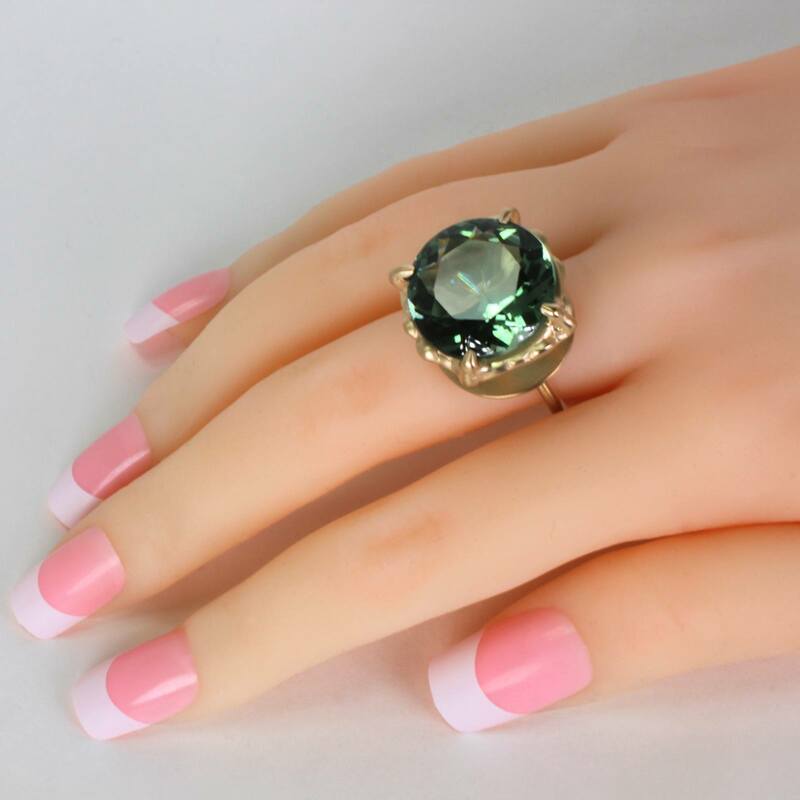 This unique ring design showcase a sophisticated gold ring with a big green quartz gemstone that is lightweight and comfortable to wear. 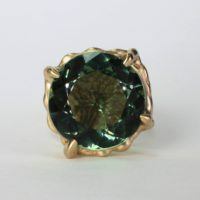 Looking for a surprise gift idea or a perfect gift to celebrate a special occasion with 14k or 18k gold? 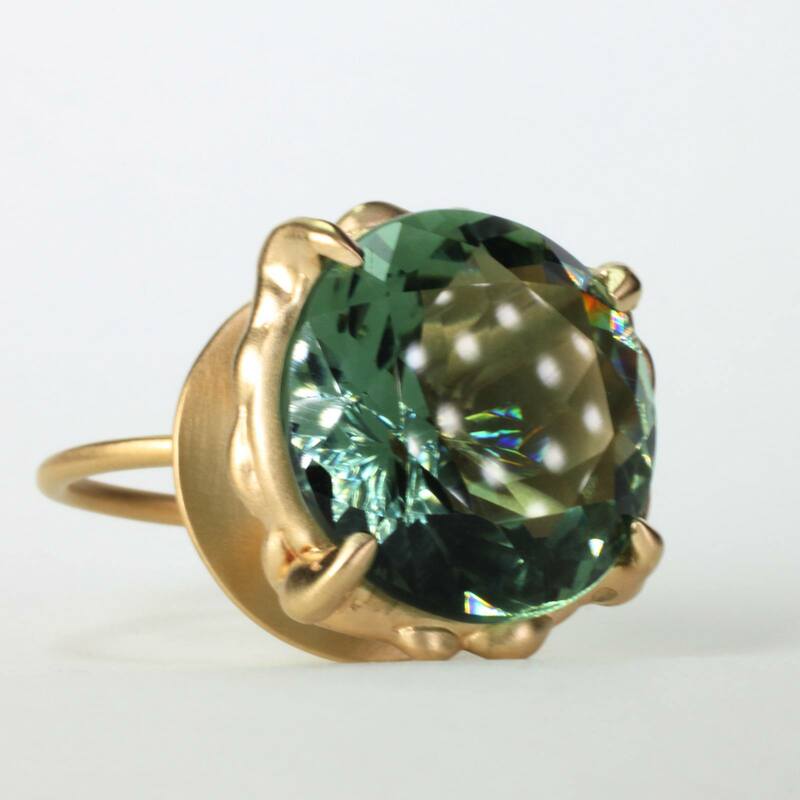 EzzyKaia can assist you in selecting the best gift for your love one. 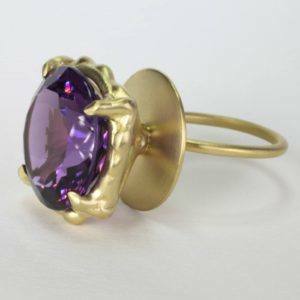 Choose this unusual cocktail ring to express your love, and will last the test of time. 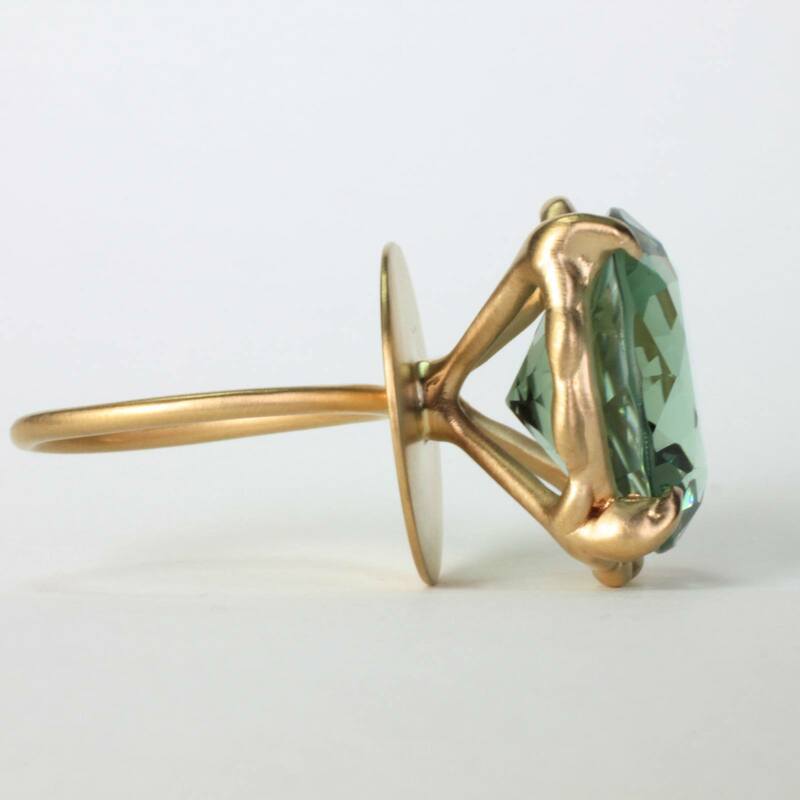 EzzyKaia’s fine jewelry collection is stamped with the designer’s logo, and karat amount either in 18k or 14k gold. 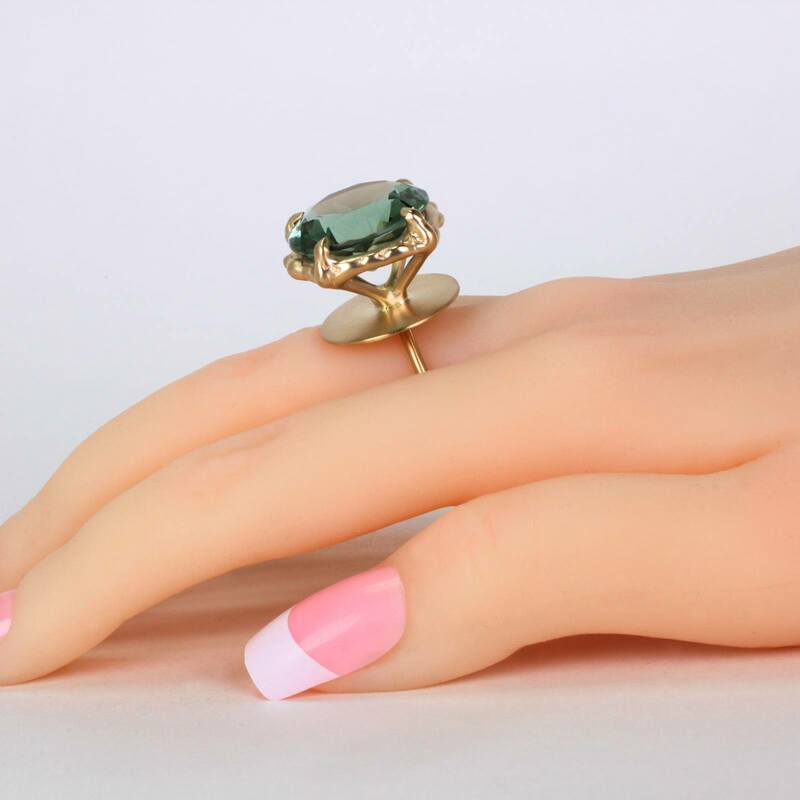 This candy inspired statement ring is unique, and no two pieces are alike.